More and more organizations are using computer-based training (CBT) modules. Most started using them for OSHA-required yearly refresher training. The CBT approach had some advantages: workers could attend individually rather than in a classroom with multiple students and an instructor; the individual training approach caused less disruption of business activities than a classroom approach; the training was self-paced so everyone could move through the materials at their own pace; the modules could include testing for knowledge levels; and the CBT could keep current rosters of who had completed the various modules. Then organizations expanded the use of CBT into more questionable areas. Along this path, someone forgot that CBT is education; not training. You can impart information via computer but you cannot build manual skills. Relying on CBT to teach manual job skills or even basics such as fire-extinguisher use is only a partial approach. Students end up having knowledge without skills. If the CBTs are followed up with on-the-job training or classroom simulations, the knowledge can begin to be translated into skills. Without such follow-up, CBTs can simply create a false sense of competence that can, and has, resulted in serious safety incidents. When my staff wrote a training objective that contained the word “awareness” I made them re-write it. Why? Because it is not a performance term! Awareness is simply a cognitive function. All it requires is being awake and paying a modicum of attention. Do you want your children to be aware of traffic or stay out of it? Do you want your workers to passively be aware of risks or actively take precautionary measures? Training objectives need to be performance-based, i.e. “Given this training, workers will take these precautions regularly within 20 days.” Performance-based objectives are observable in the workplace and can be measured. But training is not the only realm in which performance should the objective. In safety, all communication, leadership, supervision, coaching, and peer interaction should be aimed at improved safety performance. Yes, awareness is important; but it is a step toward a goal, not the goal itself. 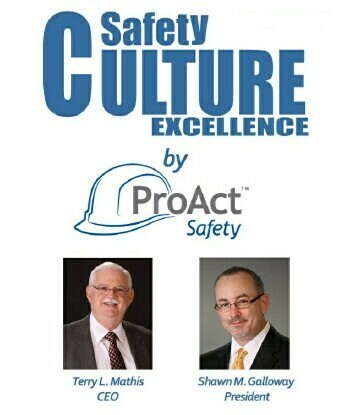 If safety-improvement efforts stop at awareness, they will result in a mental state, not a performance step change. Today’s economic realities have necessitated a great deal of outsourcing. Organizations are clinging to their core competencies and value potential and hiring out peripheral tasks. In safety, more and more of the training function is being outsourced. This can be a good approach to some types of safety training but is definitely not for others. Definite YES: Skills training by technical experts is almost always more effective. If the organization cannot justify keeping such an expert onboard full-time, outsourcing makes good sense and is often quite effective. Definite NO: Training that establishes official management style or organizational philosophy. If you want your supervisors to coach safety or your leaders to stay on message about organizational mission and vision for safety, outside trainers are definitely not the way. Specific skills such as coaching or communications can be taught by outsiders, but the deep-rooted organizationally-specific style training is best done by an insider with recognized ties to the organization and specific information to answer questions on strategy and tactics. Maybe with Qualifications: Training that is required for regulatory compliance can often be outsourced effectively. The one nuance is that much of this type of training is very generic and may not be easily or directly applied by workers to their specific tasks. Training that is too theoretical may lose its effectiveness if the link between the theory and workplace reality is not clear. Outsourcing the right training and keeping the right training in-house can be a key to success in safety. The medical profession is concerned that the overuse of antibiotics is causing strains of bacteria to become resistant and patients to be less receptive to the most-used medications. The same thing can happen to safety when training is overused or misused. Workers can tune it out and workplace accidents can become resistant to it. Regulatory mandates require a quantity and content of safety training, but more or less neglect the quality of that training. This has resulted in some of the dullest, most monotonous and least-effective safety training that the world has ever seen. The use of Computer-Based Training (CBT) has further aggravated the problem. Required safety training in many organizations is viewed at best as a necessary evil by any worker who has taken it more than two times. When safety training quits being an asset to the organization, it can damage the effectiveness of other safety-improvement efforts as well. If this state of safety training were not bad enough, some organizations actually use training or re-training as a punishment. When a worker is injured or is caught failing to follow a safety rule, they can be sent back to training. The assumption that the training did not impact worker behavior is valid enough, but the assumption that more of the same, ineffective training will magically work the second time is borderline absurd. Also, if safety re-training is viewed as a form of punishment, how will that impact the overall perception of the value of safety training? Organizations need to view safety training as a tool to meet worker needs rather than a painful requirement that can be re-used as punishment. The opportunities for good quality safety to improve safety performance has been demonstrated. It is time to use it to its full potential instead of going through the motions! I recently attended a safety training session in which the three types of distracted driving were being taught and discussed. I stood outside the door after the training and asked the departing trainees if they could name the three types of distractions. Only one of ten could name two of the three, three more could name one and the rest could not remember any of the three. If those being trained cannot remember the training on the way out of the classroom the chances of them adopting the safety practices and turning them into safety habits is virtually non-existent. The principle is this, “If you don’t get it into workers’ heads, you won’t get it into their habits.” Training that isn’t memorable or sticky is not effective training. Safety training that does not utilize mnemonic devices, repetition and post-testing may meet legal requirements, but it won’t improve safety performance. Even with such training techniques, too much training material can create overload rather than internalization of the materials. Remember the principle. Before taking workers away from work and putting them in classrooms or in front of computers, consider rethinking your training strategies to make the most effective use of the time and a greater return on investment. There is an old saying, “I can explain it to you but I can’t understand it for you.” Like communication, training is a two-part process. Part one is delivering the training. Part two is learning what is being trained. In a perfect scenario, the trainer does the first part and the trainee does the second. In too many scenarios, the first part is attempted and the second part simply does not happen. Much classroom training is simply delivered and evaluated. No learning is measured. Even in Computer-Based Training which includes testing, many of the lessons are repetitive and the answers can often be memorized without being understood. Most organizations feel pressured to deliver the quantity of training required and largely neglect the quality of the training. This has created a workforce of over-trained and underperforming workers in regards to safety. Much of our improved safety performance has resulted from worker experience rather than formal training programs. The bottom line is that training is not really happening if learning is not taking place. Learning can be measured and verified both formally and informally through open questioning, role playing, or through testing. Every safety program should question whether they are just going through the training motions, or truly developing safety competence in their workers.